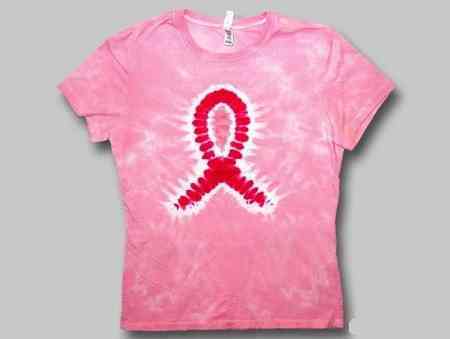 This junior women's cut tie dye t-shirt has the Breast Cancer ribbon tie dyed on it. This is a more fitted cut of a t-shirt. We also have the regular style t-shirt in this design. A portion of the sales of these t-shirts is directly donated to Breast Cancer research.